Writing regarding one’s own career is a bit surreal, time flies by, experience accumulates and then you are doing bike fits! 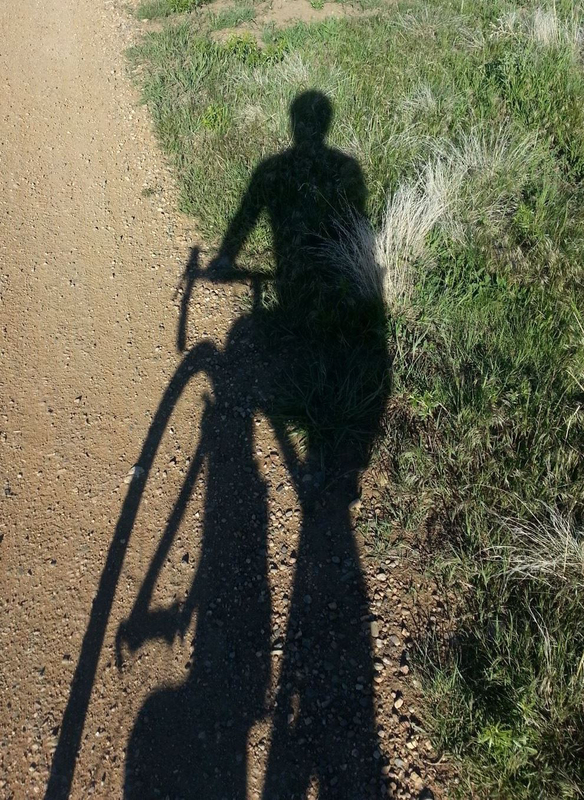 Twenty-four years ago I earned a Kinesiology degree at the University of Colorado/Boulder by working at a local bike shop, “The High Wheeler.” Bike Fitting was a “Fit Kit” and I observed riders who were having pain on the bike get a lot more comfortable and efficient. Eventually physical therapy school ensued and I began to work in orthopedics and started to take courses in manual therapy. My name is Mike Kohm PT, BS and I have taken over 30 physical therapy courses in my career and have 17 years of clinical physical therapy experience. My path has been a bit eclectic, a yoga certification, teaching trigger point dry needling for Kinetacore (click here) and obtaining a functional movement certification (click here). I have had the good fortune to take level 1 & 2 in the Selective Functional Movement Assessment (SFMA) series from Gray Cook PT, M.S., OCS, CSCS and Kyle Kiesel, PhD, PT, ATC, CSCS. The central theme of my philosophy as a physiotherapist, is that as human beings we are meant to move and when we stop moving, move poorly on or off the bike, or sit in one place dysfunctional adaptations occur. My company is a reflection of the education, clinical experience and the influence of many fine “movement specialists.” My experience as a bike fitter leans toward the realm of “medical bike fits” or simply, pain on the bike. I have also fitted local professional racers, teenagers, and weekend warriors. If I had a mantra concerning a treatment philosophy, it would be “don’t treat pain.” On a bike, pain is quite often the manifestation of poor biomechanics above or below the involved painful area. Sometimes it is seemingly an unrelated issue such as off set brake levers that will in turn twist the torso, then the pelvis reacts, which affects the knee. 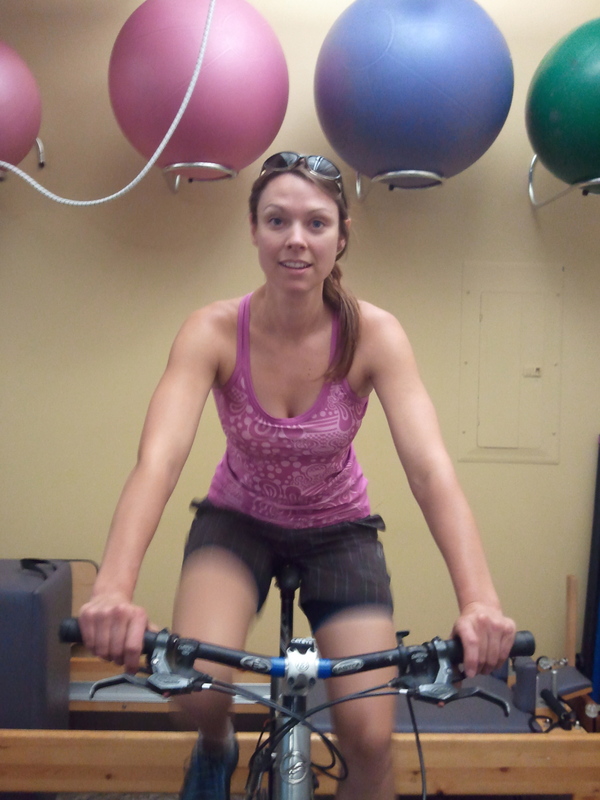 The picture demonstrates a local professional uneven bars who had knee pain on the bike. An aspect of bike fitting, that often seems to be left out is a clients flexibility, not only in their musculoskeletal systems, but their “neural dynamics” as well. I start most fits with a Selective Functional Movement Assessment, address neural dynamics and review a clients medical background. Americans seem to be obsessed with aerodynamics and as they age do not have the neural mobility or the flexibility to sit in the same position as when they were 20-25 years old. Many riders present in an unnecessarily aggressive position, with a high seat height, and are “set back” on their saddles. This spring a pro 1-2 rider with lateral knee pain came to the clinic who had had 2-3 previous fits, several renowned orthopedic consults and an MRI which showed a frayed lateral meniscus. Surgery was recommended, but to her credit she did feel this would fix her problem. Her neural mobility testing revealed a compromised femoral nerve glide with an extremely tight lateral quadricep and IT band. In summary her bike position consisted of the above with a very aggressive position in the cockpit. This in turn shortened her hip flexor and upper quadriceps which restricted her femoral nerve and tightened her lateral quadricep and Iliotibial band. She agreed to some trigger point dry needling to release the quadriceps and hip flexors. Her homework was to begin neural mobility training and flexibility. We lowered the seat, flipped her and shortened her stem, moved her saddle forward, shimmed her left cleat and she was able to begin riding again. We were both happy she avoided an unnecessary surgery! Many of the riders I see were fit with a “system” that uses a computer. People who are fit with a system almost are left out of their fit, if that makes sense. The people doing the fits are often trying to fit the rider in their box and are looking at the rider through their computer not at the bike. The best computers are our brains and observation skills. Most fits take a minimum of three hours, initially a fair amount of time is spent on foot dynamics and cleat placement. Wedges are often used to help align the foot, knee and the hip. The cleat inter face is our literal connection to the bike, along with the saddle and brake levers. Bar width is assessed to make sure a person is appropriately fitted. Measurements are taken of the trunk flexion, elbow, knee, and cervical position is noted. The intention is not to fit people into a strict set of limits, rather to objectively measure how a person is fit to the bike. This provides a guide in which to begin the fit. Paul Swift’s suggestion of a laser has become an integral part of the bike fit. The laser helps to see how the femur, patella, tibia, ankle and foot all line up during the cadence. The laser can be used to align the saddle to the bars. I am amazed that when I fit a cyclist who spends 12-20 hours a week on their bike how close they got their fit. The extra 2-3 cm of total adjustments on their bike really clean up their problems. My intuition is that a good bike fit does clean up subtle asymmetries and dials the person into their bike so they are efficient and unloads muscular imbalances. The nervous system readily reacts to both positive and negative influences. When the body falls into a state of imbalance, and then pain it will alter movement. Dysfunction movement patterns can manifest and these can be magnified on the bike. Ironically, Steve Hogg and Gray Cook PT, M.S., OCS, CSCS share a common philosophy of Vladimir Janda’s MD, DSc “Crossed Syndromes.” Janda was one of the first medical practitioners to study movement patterns and has been a great influence on the world of physiotherapy. Janda quantified the inhibition and or the over facilitation of muscle groups due to constant postural positions or muscular imbalances. This concept is a large part of what we treat both on and off the bike. The muscular imbalances create joint compression which can lead to pain. When muscular imbalance manifests on a bike, joint compression results and inefficiency and pain are the usual results. The work of the folks at Functional Movement Systems shows us that athletes and workers with movement asymmetries are 2-3x more likely to get injured. Cycling for most folks who are seeking a fit, are “good riders.” They take their bodies through a moderate to sub maximal effort. Racers of course perform near their maximum effort. Given cycling is a repetitive motion event, subtle imbalances and asymmetries become bigger problems after an hour or two on the bike. My most successful fits often start with changing the stem to provide the person a more upright position to facilitate breathing, and to open their hip, so they can drive their bike through the pedal stroke. People become so focused on their aerodynamics, their upper body musculature is working overtime just to hold them up. This compromises their ability to breath. You might look faster on the bike, but guaranteed the inability to obtain oxygen will win out every time! The short story is people do not fit in a box, two people with nearly the same build are most likely going to have different positions on their bikes secondary to their neural dynamics, flexibility, core strength and breathing capacities. If you are thinking of buying a neighbor’s bike or a bike off of Craigslist, bring it in to make sure it will fit you properly. 45 minutes to an hour up front can save you the headaches of a poor fit.